Anggarez found his passion in music since his teenage year, inspired by local and international indie music movement. Has a history as a bass player in a punk rock band called P.O.C. and THE BAHAMAS since 1996 – 2002. The band has released some EP and also contributing tracks in some of Bandung’s and international indie label compilations. 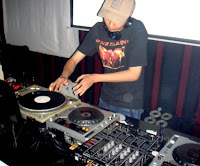 In year 2002 his good friend, Dj Nishkra introduced him to turntables and cdjs, variety of house music and dance music scene around Bandung and Jakarta, then he began collecting house music records and learn how to mix songs. Start spinning back in late 2003, he described his today musical style is in any range from house, tech-house to electro, eclectic, nu disco and beyond with early musical influence from big names like DJ Garth, Danny Howells, Doc Martin, DJ Rolando, Los Hermanos, Kraftwerk, Playgroup, DFA, M.A.N.D.Y., DJ T and some talented local heroes. 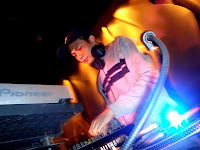 Have been played from small private party to various club, lounge and non club party around Jakarta, Bandung and Bali. Shared the deck with Todd Terje (Full pupp, norway), DJ Falcon (Daft Crew, France), 2manydjs, Diplo, Steve Aoki, Nick Chacona, Brendon P (Zouk) and also played at Nouvelle Vague concert after party. Also doing lots of graphic for local or international DJs flyers since 2004, is the other reason why he still love this industry. In the future he will still keep continue the mission to spread some regular house party around Jakarta and everywhere else.